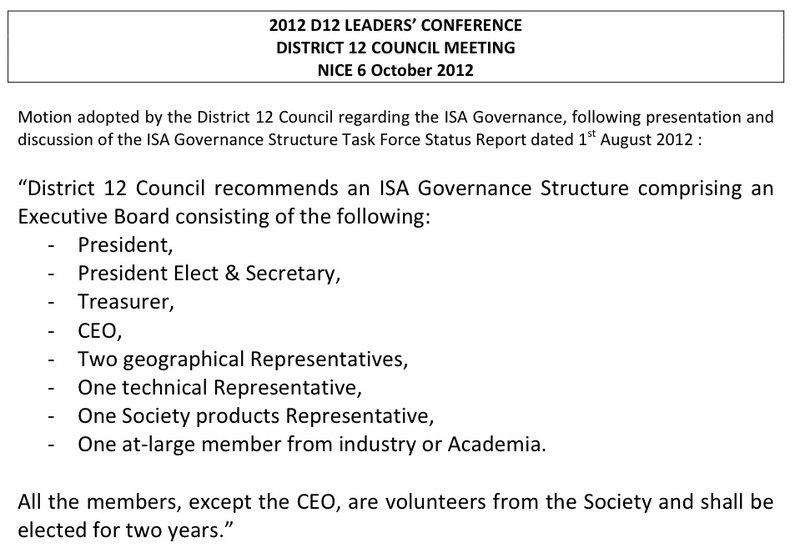 ISA District 12: Conclusion DLC 2012 - Nice France! Conclusion DLC 2012 - Nice France! Our DLC in Nice is now over. I believe we had a very useful meeting which perfectly illustrates the vitality of our Society. 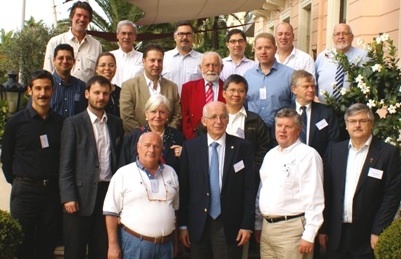 We had representatives from 11 countries plus our Key-note speaker, Eric Byres, from Canada, and also Bob Lindeman, ISA President, who especially came from the USA. I thank all the participants for their presence. 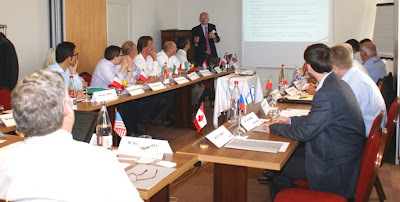 We had a lot of exciting exchanges and all the presentations were of excellent quality. They have been posted here on our web site. 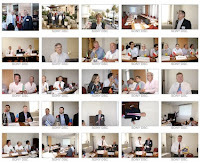 I just include two pictures taken during the meeting but there are a lot of other ones taken by the numerous participants. Our DVP Elect & Secretary, Brian Curtis, will draw up the minutes and I thank him in advance. 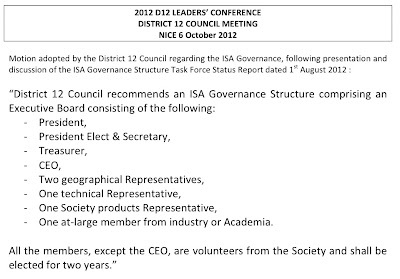 Without waiting for them, Here is the text of the motion that was approved by the D12 council, regarding the ISA Governance. We hope this input will be useful to the ongoing discussions regarding the ISA Governance evolution. The transfer of the gavel of DVP to Brian Curtis will be effective as from 1st January 2013. We still have several very important events scheduled by the end of this year. Notably in Israel (ISA Israel 2nd annual congress – 6 November) and in Qatar (ISA Automation Conference – 9 & 10 December). However, I would like to seize this opportunity to say again how pleased I was to have the responsibility of District 12 during the last two years. It was a fascinating experience and I thank all our colleagues and friends who supported me in this challenge.